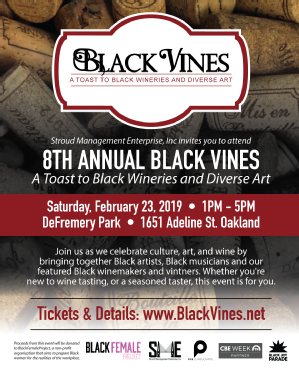 Join us as we celebrate culture, art, and wine by bringing together Black Artists, Black Musicians and our featured Black Winemakers and Vintners. Whether you're new to wine tasting, or a seasoned taster, this event is for you. 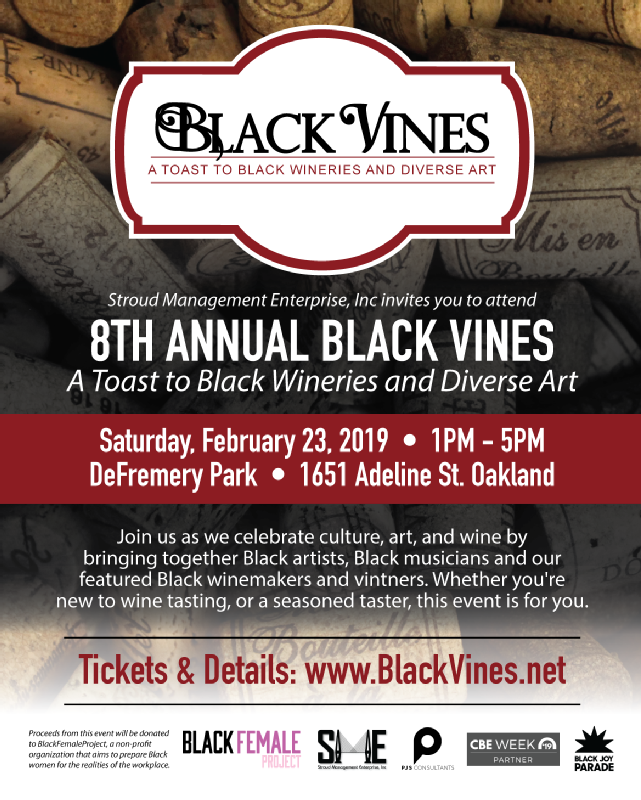 In support of drinking responsibly, Black Vines is located conveniently near BART and other public transportation.